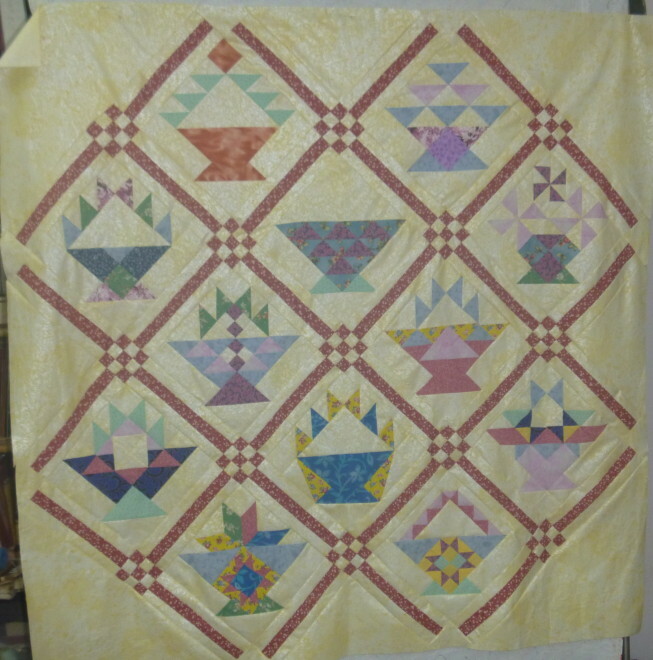 Little by little, the quilt top is coming together. The inside is finished now, except for the one basket handle. After that, it will get borders, and be put in the quilting pile.